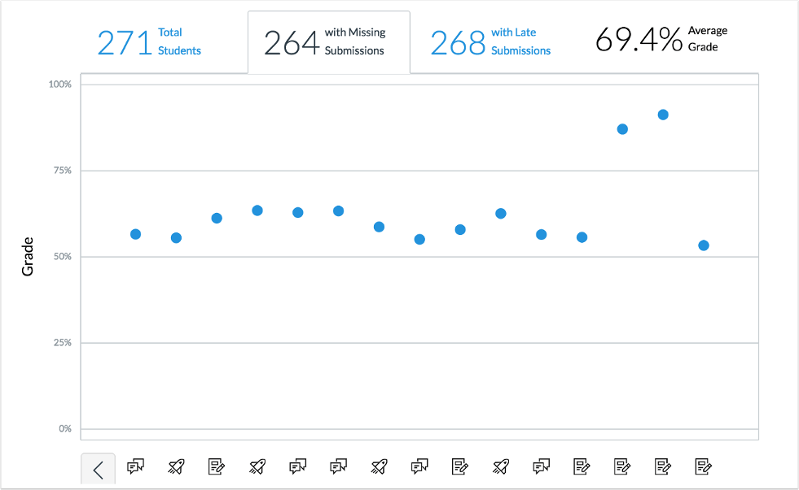 Analytics Beta is a new Canvas tool that provides better analytics for tracking student data. It has an interactive chart or table which allows you to customize views of data and filter for specific items. You can use it to track how your students are doing in the class as a whole, in a specific section, or on a particular assignment, or even track individual students. You can even compare the student to the section, and the whole class in one view. 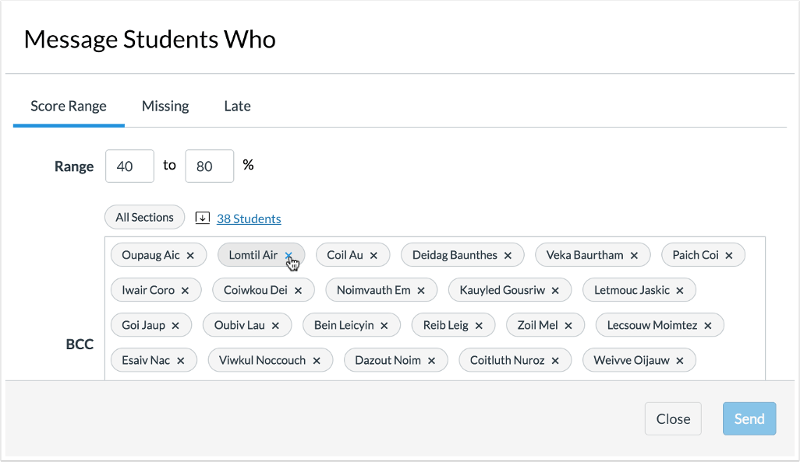 Analytics also helps you quickly identify and contact students who might need extra help or attention. 2. Navigate to a course. 3. In Course Navigation, click the Settings link. 4. Near the top, in the center, click the Navigation tab. 5. Find the Analytics BETA item. 6. Click the three buttons to expand options. 8. Remember to scroll to the bottom and click the Save button! 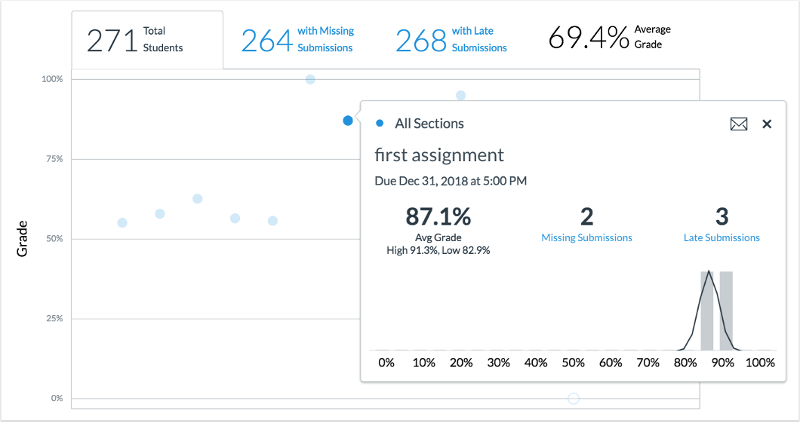 Course Grade is the first feature available within Analytics Beta. 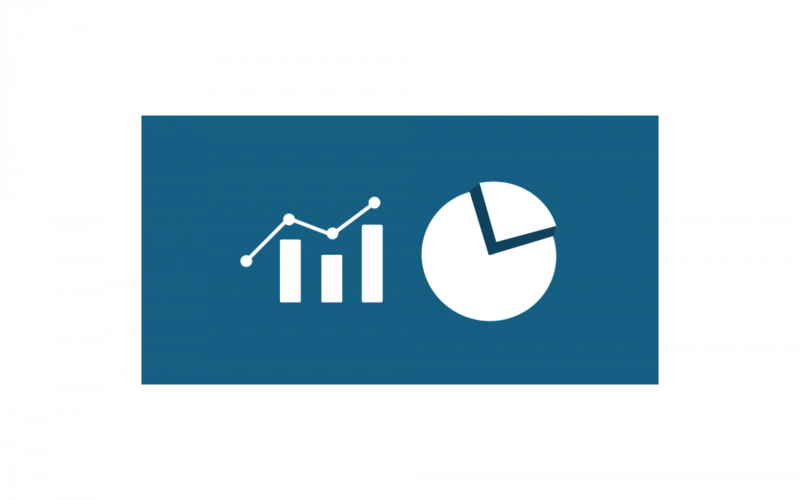 Course Grade allows instructors to view the average course grade for all course data using an interactive chart or table. Additionally, instructors can filter analytics results to compare the average course grade with a specific section, student, or assignment. The analytics page is dynamic and can show various filtered content; however, a maximum of three filters can be applied at once. The tabs above the chart show the filters you have selected, making it easy to switch among the different filters. If you want to dive into a specific point and see details, just click on any of the data points. A summary card will pop up and show detailed metrics for the assignment. You can also view the data as a data table by percentage instead of a chart by clicking the Data Table option within the Chart Options menu. 1. Click on the Send Message link. 2. Select the criteria tab by which you want to select students. Note: If you select Score Range, you must enter a minimum and maximum percentage. 3. Select the sections or students you want to blind carbon copy. If you need additional help with Analytics Beta, or if you have any other questions, Academic Technology Solutions is happy to help. You can attend one of our walk-in sessions held in the TechBar of the Regenstein Library (see our workshop schedule for upcoming sessions), or contact us to schedule a consultation. The Symposium for Teaching with Technology Is Coming April 23 – Save the Date! Courses is the launch pad for all teaching and learning related digital tools at UChicago. In the 2016-18 academic years, we will focus on providing resources for the Chalk to Canvas transition.